Do you have a classroom window that faces the playground and is frequently filled with faces of former students spending their recesses peeking in? Or what about a window that looks upon nothing but the unsightly modular classroom building a few feet away? If you have a window issue, but you don't want to lose natural light, this DIY project might help. Scissors or a personal cutter like a Cricut. If you're not using a personal cutter, you'll need a shape to trace. Step 1: Choose a simple, tessellating shape. Step 2: Input the shape and size into your personal cutter. (*Recommended) Or cut a pattern to trace. Smaller shapes are easier to work with and adhere to the window with fewer bubbles, but larger shapes make the project go faster. I used 3 inch diamonds for my small window project. Step 3: Insert your contact paper into your personal cutter and cut lots of your shapes, or trace and cut freehand. Step 4: Make sure your windows are clean and dry. Step 5: Peel the backing off of your contact paper and adhere to the inside of your window. Start at the edge and work your way across. Leave a thin space in between each shape to let the light shine through, and so you can see the outline of your shape. Use an X-Acto knife to trim the edges. Step 6: Continue cutting and attaching until you've covered as much window as you'd like covered. "Clear" contact paper is not actually clear. 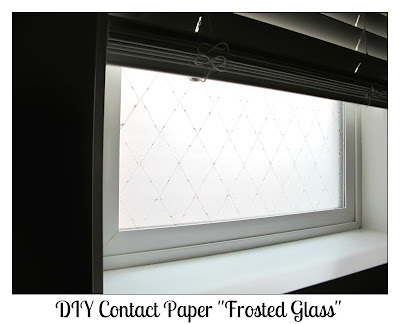 It has a foggy appearance, so it gives your window a frosted glass look. #1: This is not a quick project, so I recommend covering small windows or partial windows only. #2: This is best for windows that don't get tons of bright, direct light because small bubbles are more obvious in super bright light. I got the idea for this project when I saw these adorable but expensive window clings. 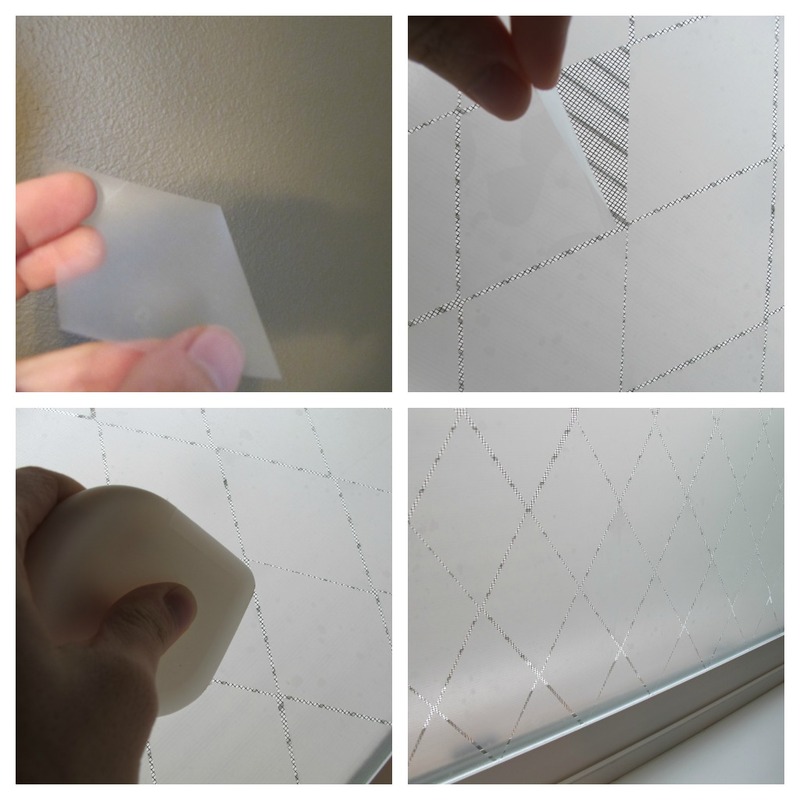 Obviously contact paper is a budget substitute but it's a great option if you need to cover a window, but are unable to hang a curtain, or don't want to cut out the natural light.